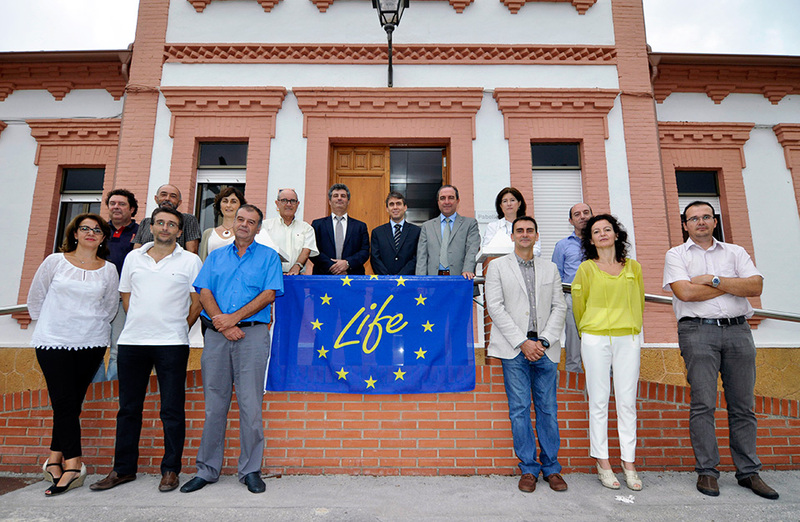 On 29th September, the new Life-Aquemfree project kick-off meeting was held and the various partners signed the corresponding agreement. The following participated in the launch and signing event: Mr. Adrián Martínez Cutillas (Director of IMIDA), Mr. Antonio Juan García Fernández (Vice rector of Investigation in the University of Murcia), Mr. Antonio Sanz de la Morena (Director of the Federation of Agricultural Cooperatives of Murcia) and Mr. Lucas Galera Quiles (Head of R+D in Novedades Agrícolas). Following this, a technical meeting was held between all the investigation and technical participants in the project. As of now, work will begin on carrying out this ambitious project which aims to achieve a financially accessible and environmentally sustainable solution for agro-waste water from remnants and rinses in pesticide treatment tanks and containers.